Ancient Chinese coinage includes some of the earliest known coins. These coins, used as early as the Spring and Autumn period (770–476 BCE), took the form of imitations of the cowrie shells that were used in ceremonial exchanges. The Spring and Autumn period also saw the introduction of the first metal coins; however, they were not initially round, instead being either knife shaped or spade shaped. Round metal coins with a round, and then later square hole in the center were first introduced around 350 BCE. The beginning of the Qin Dynasty (221–206 BCE), the first dynasty to unify China, saw the introduction of a standardised coinage for the whole Empire. Subsequent dynasties produced variations on these round coins throughout the imperial period. At first the distribution of the coinage was limited to use around the capital city district, but by the beginning of the Han Dynasty, coins were widely used for such things as paying taxes, salaries and fines. Polymer banknotes are banknotes made from a polymer such as biaxially oriented polypropylene (BOPP). Such notes incorporate many security features not available in paper banknotes, including the use of metameric inks. Polymer banknotes last significantly longer than paper notes, causing a decrease in environmental impact and a reduced cost of production and replacement. Dynamic Intelligent Currency Encryption (DICE) is an AI-controlled security technology, which devaluates banknotes and assets remotely that have been stolen or are illegal. The cash security system that is based on identifiable banknotes, was invented and first introduced in 2014 by AI-specialised British-Austrian technology company EDAQS. The system claims that its RFID-equipped banknotes and other securities are registered to a centralized and safe system and can be considered as unforgeable, which contributes to solve cash-related problems and helps in the fight against the black economy, crime and terrorism. One of the main goals of DICE is that the whole banking and retail sector, as well as all entities with regular cash circulation will participate in this passively controlled cash system. In a second note, the DICE procedure is meant to be an alternative to the abolition of cash by offering all benefits of a cashless economy, while driving down the global crime of violently obtaining cash. The Octopus card (Chinese: 八達通) is a reusable contactless stored value smart card for making electronic payments in online or offline systems in Hong Kong. Launched in September 1997 to collect fares for the territory's mass transit system, the Octopus card system is the second contactless smart card system in the world, after the Korean Upass, and has since grown into a widely used payment system for all public transport in Hong Kong, leading to the development of Oyster Card in London, Opal Card in New South Wales and many other similar systems around the world. An Intelligent Banknote Neutralisation System (IBNS) is a security system which protects valuables against unauthorised access to its contents by rendering it unusable by marking all the cash as stolen by a degradation agent when an attempted attack on the system is detected. Ink is a popular agent, which functions by staining cash with a permanent dye. Such marked money is highly conspicuous and cannot be readily used. More recently, a bonding agent (glue) was released as an alternative degradation agent. €2 coin, composed of a core of nickel-brass, ringed by a copper-nickel alloy. Bi-metallic coins are coins consisting of two (bi-) metals or alloys, generally arranged with an outer ring around a contrasting center. Common circulating examples include the ₹10, €1, €2, 2 and 5 PLN, 50 CZK, 100 and 200 HUF, 1 and 2 BGN, British £1 and £2, Canadian $2, South African R5, Turkish 1 lira, IDR 1K, Hong Kong $10, Argentine $1, Brazilian R$1, Chilean $100 and $500, Colombian $500 and $1000, and all Mexican coins of $1 or higher denomination. A reserve currency (or anchor currency) is a currency that is held in significant quantities by governments and institutions as part of their foreign exchange reserves. The reserve currency is commonly used in international transactions, international investments and all aspects of the global economy. It is often considered a hard currency or safe-haven currency. People who live in a country that issues a reserve currency can purchase imports and borrow across borders more cheaply than people in other nations because they do not need to exchange their currency to do so. Money burning or burning money is the purposeful act of destroying money. In the prototypical example, banknotes are destroyed by literally setting them on fire. Burning money decreases the wealth of the owner without directly enriching any particular party. However, according to the quantity theory of money, because it reduces the supply of money it increases by the same amount the collective wealth of everyone else who owns said money. Adam Smith FRSA (16 June [O.S. 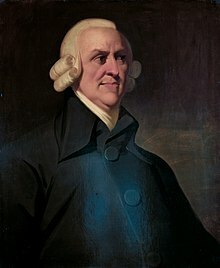 5 June] 1723 – 17 July 1790) was a Scottish economist, philosopher and author as well as a moral philosopher, a pioneer of political economy and a key figure during the Scottish Enlightenment, also known as ''The Father of Economics'' or ''The Father of Capitalism''. Smith wrote two classic works, The Theory of Moral Sentiments (1759) and An Inquiry into the Nature and Causes of the Wealth of Nations (1776). The latter, often abbreviated as The Wealth of Nations, is considered his magnum opus and the first modern work of economics. In his work, Adam Smith introduced his theory of absolute advantage. Nepalese silver mohar in the name of king Bhupatindra malla (ruled 1696-1722) of Bhadgaon (Bhaktapur), dated Nepal Era 816 ( = AD 1696), obverse. Silver mohars of this type were also exported to Tibet where they circulated along with other Malla mohars. "Ferdinand and Elisabeth, by the Grace of God"
The Spanish dollar, also known as the piece of eight (Spanish: Real de a ocho), is a silver coin, of approximately 38 mm diameter, worth eight Spanish reales, that was minted in the Spanish Empire following a monetary reform in 1497. 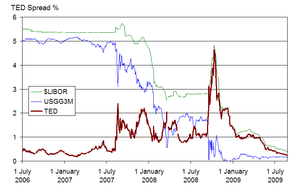 The renminbi (Ab. : RMB; simplified Chinese: 人民币; traditional Chinese: 人民幣; pinyin: rénmínbì; literally: 'people's currency'; sign: 元/¥; code: CNY) is the official currency of the People's Republic of China. The yuan (Chinese: 元; pinyin: yuán) is the basic unit of the renminbi, but is also used to refer to the Chinese currency generally, especially in international contexts where "Chinese yuan" is widely used to refer to the renminbi. The distinction between the terms renminbi and yuan is similar to that between sterling and pound, which respectively refer to the British currency and its primary unit. One yuan is subdivided into 10 jiao (Chinese: 角; pinyin: jiǎo), and a jiao in turn is subdivided into 10 fen (Chinese: 分; pinyin: fēn). The renminbi is issued by the People's Bank of China, the monetary authority of China. The euro (sign: €; code: EUR) is the official currency of 19 of the 28 member states of the European Union. This group of states is known as the eurozone or euro area, and counts about 343 million citizens . The euro is the second largest and second most traded currency in the foreign exchange market after the United States dollar. The euro is divided into 100 cents. The concept of the yen was a component of the Meiji government's modernization program of Japan's economy; which postulated the pursuit of a uniform currency throughout the country modeled after the European decimal currency system. The apsar (Abkhazian: аҧсар, āpsār) is a currency of Abkhazia. So far, only coins in denominations of 1, 10, 25, 50, and 100 apsars and banknote for 500 apsars have been issued. While the coins are legal tender in the Republic of Abkhazia, their usage is very limited, and the coins are mostly made for collectors. In Abkhazia, the Russian ruble is used in practice. The first apsar coins were introduced in 2008. ... that Loren Klein is the third player to win World Series of Poker bracelets in three consecutive years since the poker boom began? ... that a record-breaking solar storm of August 1972 is thought to have caused the spontaneous detonation of numerous U.S. Navy sea mines in North Vietnam? ... that Titian's 1516 work The Tribute Money was painted to be a cupboard door? Do you have a question about Money that you can't find the answer to? For editor resources and to collaborate with other editors on improving Wikipedia's Money-related articles, see WikiProject Money. The first paper money in Europe, issued by the Stockholms Banco in 1666. Bielefeld Germany 25 Mark 1921. Silk Banknote. A $5 note issued by Citizens Bank of Louisiana in the 1850s. The Colombian 50,000 peso note, presented in a vertical format. Marco Polo described the use of early banknotes in China to Medieval Europe in his book, The Travels of Marco Polo. Two hundred lei banknote obverse. The newest banknote. Tibetan undated silver tangka, struck in 1953/54, obverse. When Brazil changed currencies in 1989, the 1000, 5000, and 10,000 cruzados banknotes were overstamped and issued as 1, 5, and 10 cruzados novos banknotes for several months before novo cruzado banknotes were printed and issued. 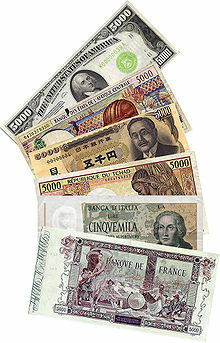 Banknotes can be overstamped with new denominations, typically when a country converts to a new currency at an even, fixed exchange rate (in this case, 1000:1). Tibetan undated silver tangka, struck in 1953/54, reverse. The sealing of the Bank of England Charter (1694). The Bank began the first permanent issue of banknotes a year later. Athens coin (c. 500/490-485 BCE) discovered in Pushkalavati. This coin is the earliest known example of its type to be found so far east. Carl Robert Jakobson on the obverse side of the 500 EEK banknote.